until 44 cannoncini per minute! 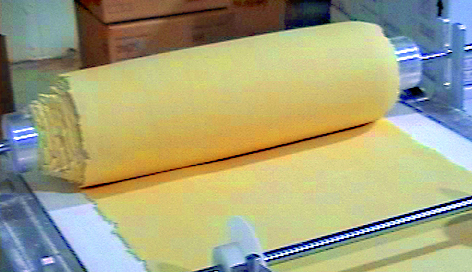 The only automatic machine with a high productivity able to close both the ends of cannoncini, ready to be baked. 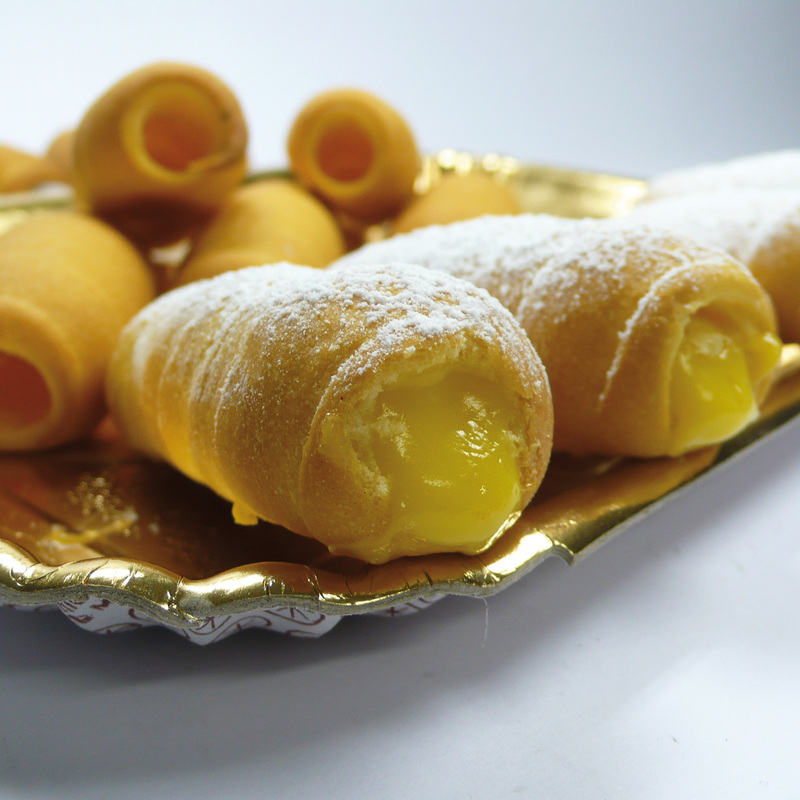 The Gianfranco works with any kind of pastry so that every confectioner can use freely his own secret recipe. 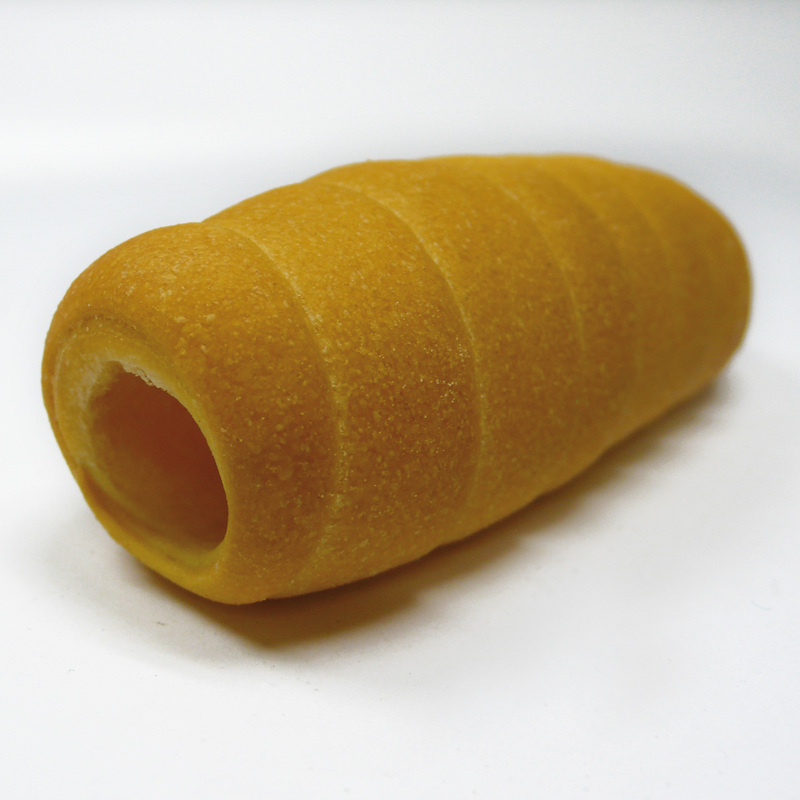 The round parts of Cannoncino made through the spiral rolling-up process, even after the baking are always puffed, regular, never flat and with a delicious look to be proud to show in the window. 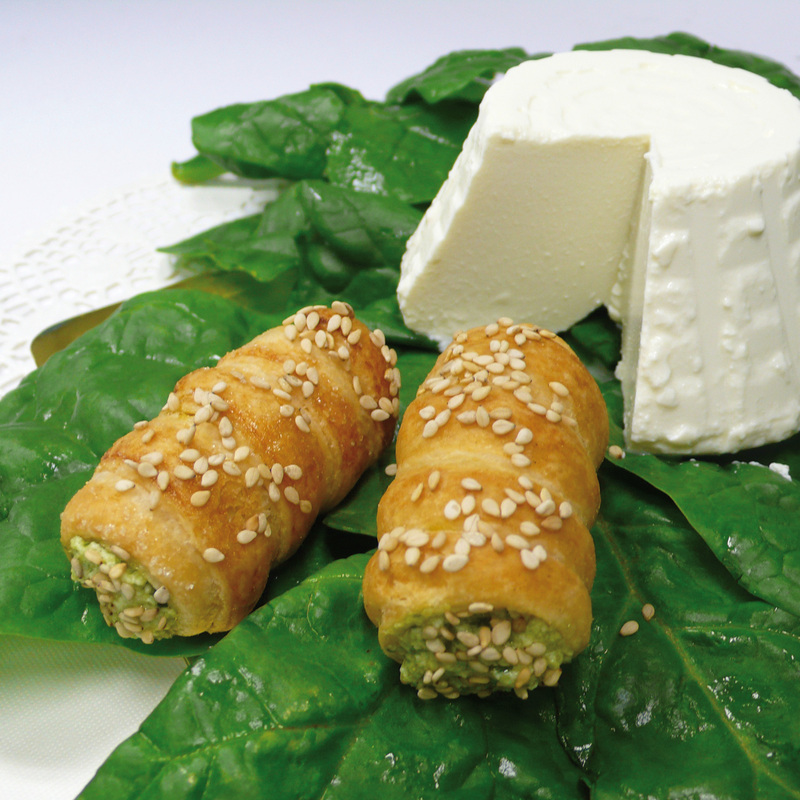 It’s the only automatic machine that doesn’t need handcraft work for the closing process of the puff pastry ends. 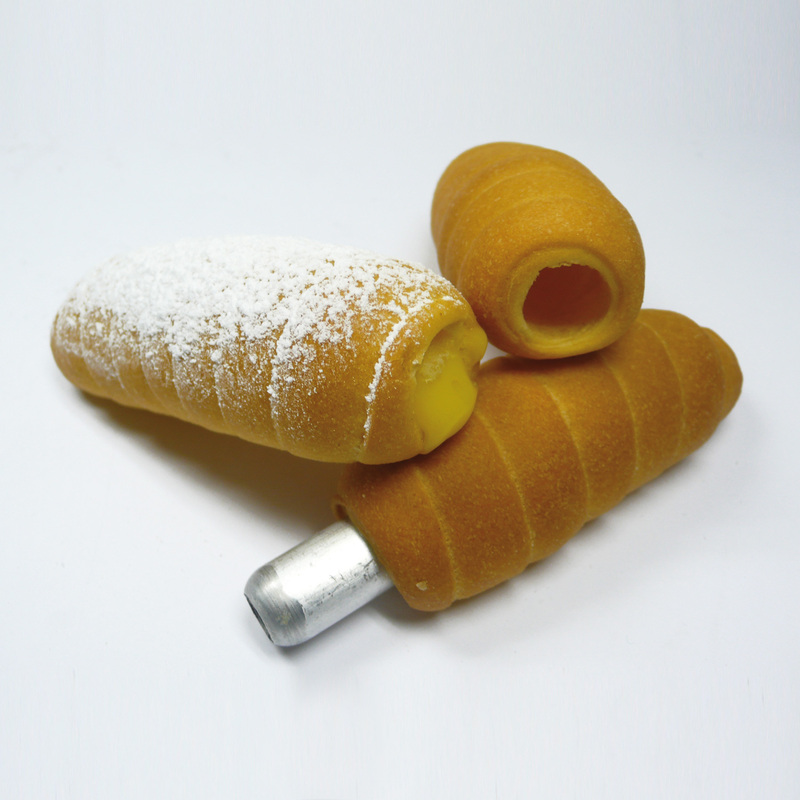 The Gianfranco is configured according to the size of the cannoncino (cream horn) to be made. The pipes, necessary for the cannoncini production, ranges from 10 to 20 mm diameter, and from 90 to 155 mm length. 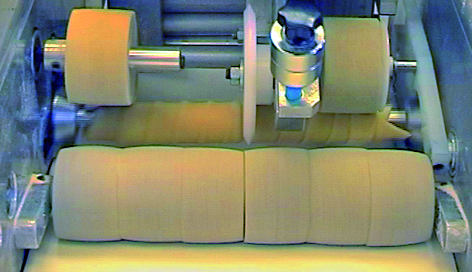 A SINGLE OPERATOR will be able to produce 44 CANNONCINI PER MINUTE. from 10 to 20 mm. 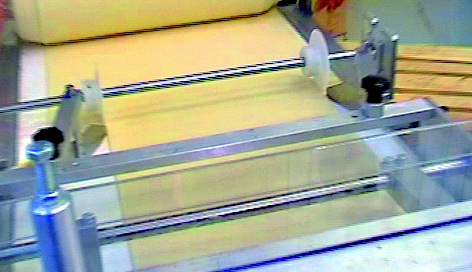 Group unrolling laminated dough rolling pin. 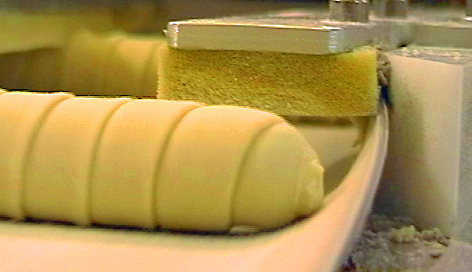 Side trimming to size the length of the strip of dough. 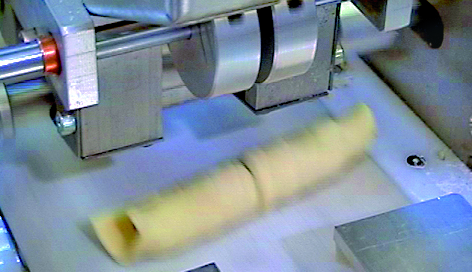 Cross cutting the strip of dough width and variable inclination. 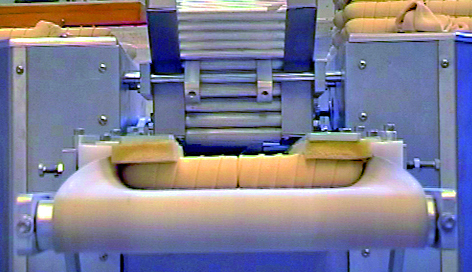 Outlet of the pipes automatically from the hopper. 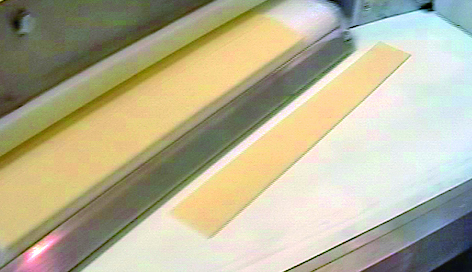 Central incision to separate the cannoncino after firing. Step into the tunnel closing end cannoncino. 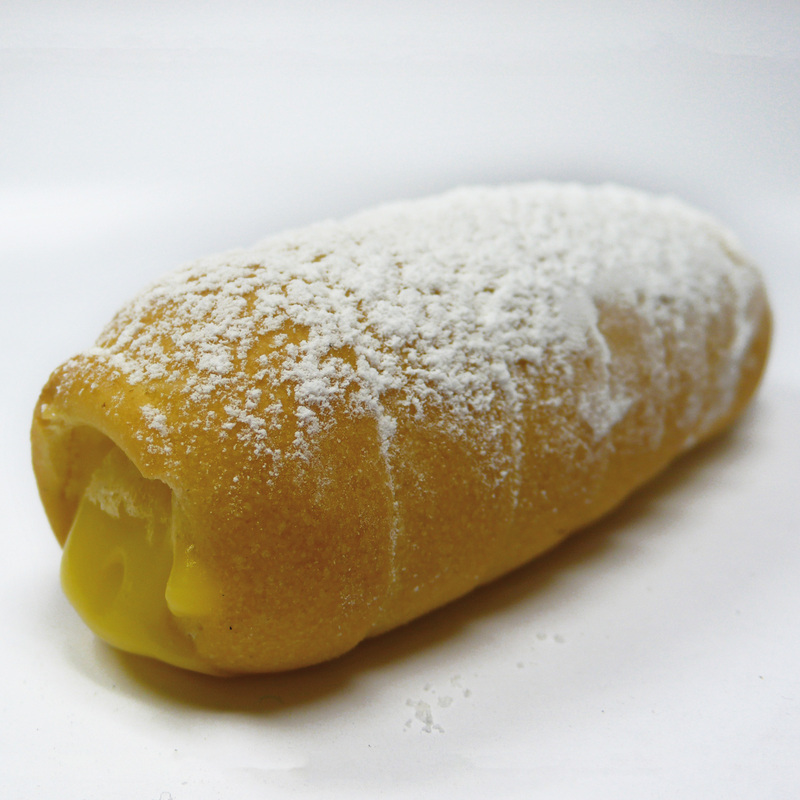 A sweet-smelling roll of puff pastry stuffed with a soft custard and coated with crunchy sugar: Cannoncino; the prince among the pastries. 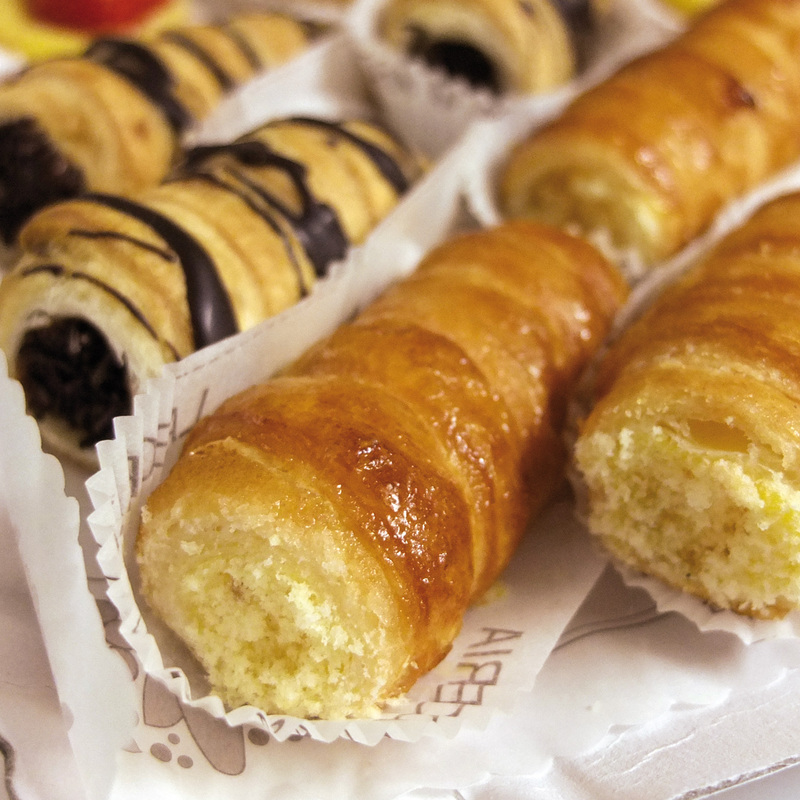 Cannoncino has always been the main pastry in every pastry shop but its expensive production costs and the very hard handcraft process has always been a problem and put Cannoncino in second place. 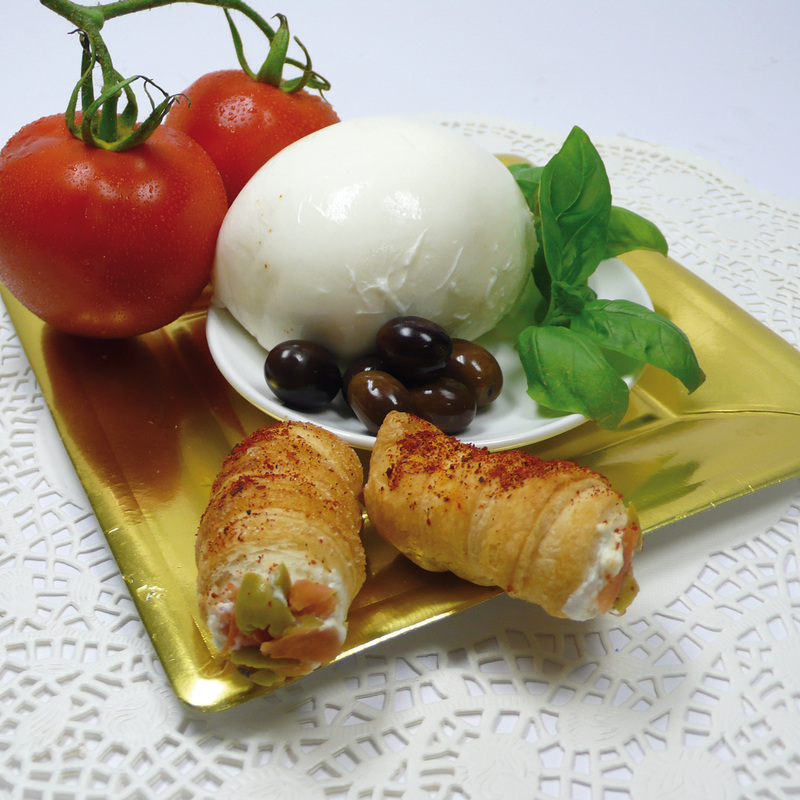 The main ambition of confectioners has always been to give back to Cannoncino the first place in the selection of pastries and salt biscuits: from one side there are the expensive production costs and the long time of the process, but on the other side there’s the increasing demand from the customers. 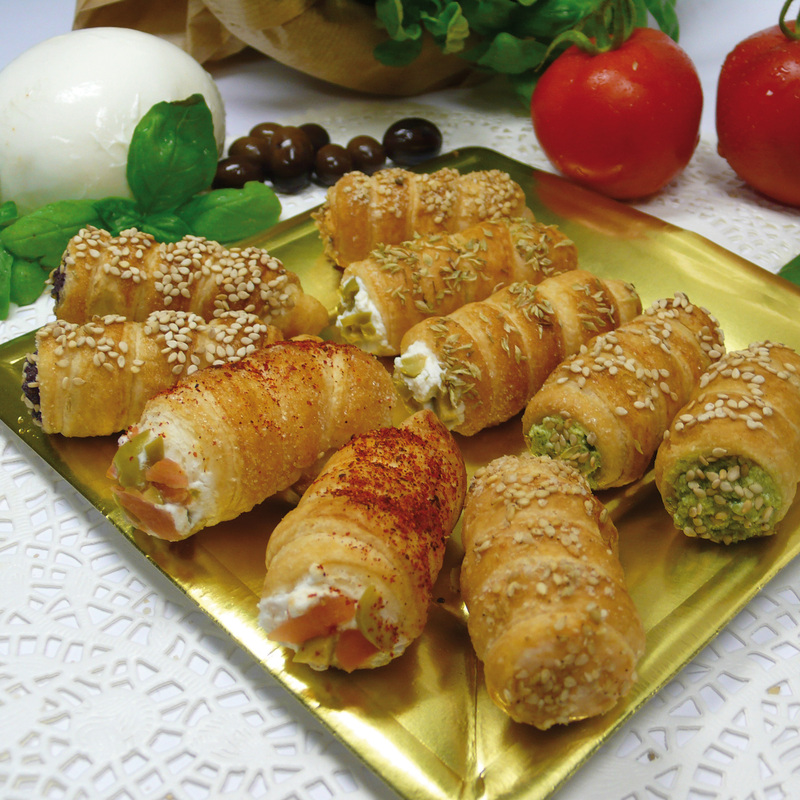 With Konomac the production costs are cut down and Cannoncino becomes one of the e cheapest pastry. 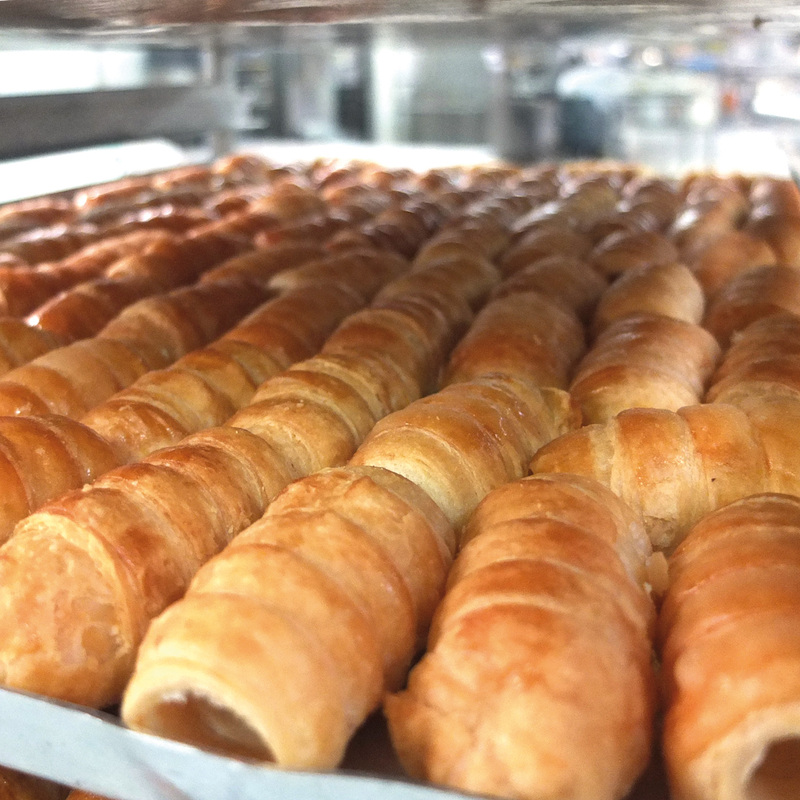 The whole production phase is automatic: unrolling of the rolling-pin, cut of the slice, rolling up, central cut and closing process of puff pastry ends! 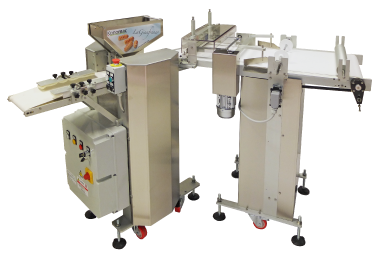 Our machines work with any kind of pastry so that every confectioner can use freely his own secret recipe. 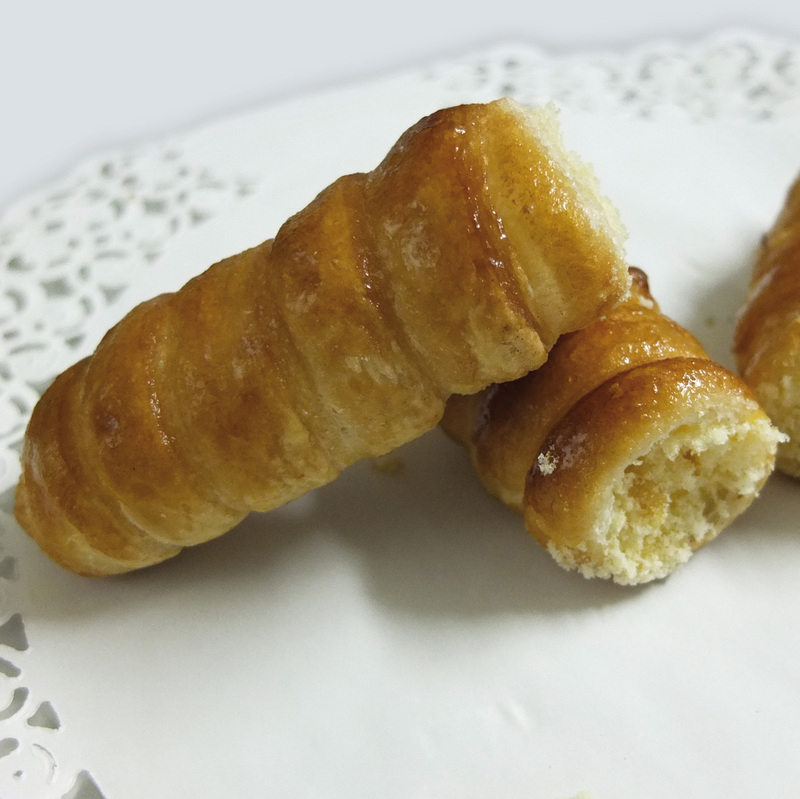 The round parts of Cannoncino made through the spiral rolling-up process, even after the baking are always puffed, regular, never flat and with a delicious look to be proud to show in the window. 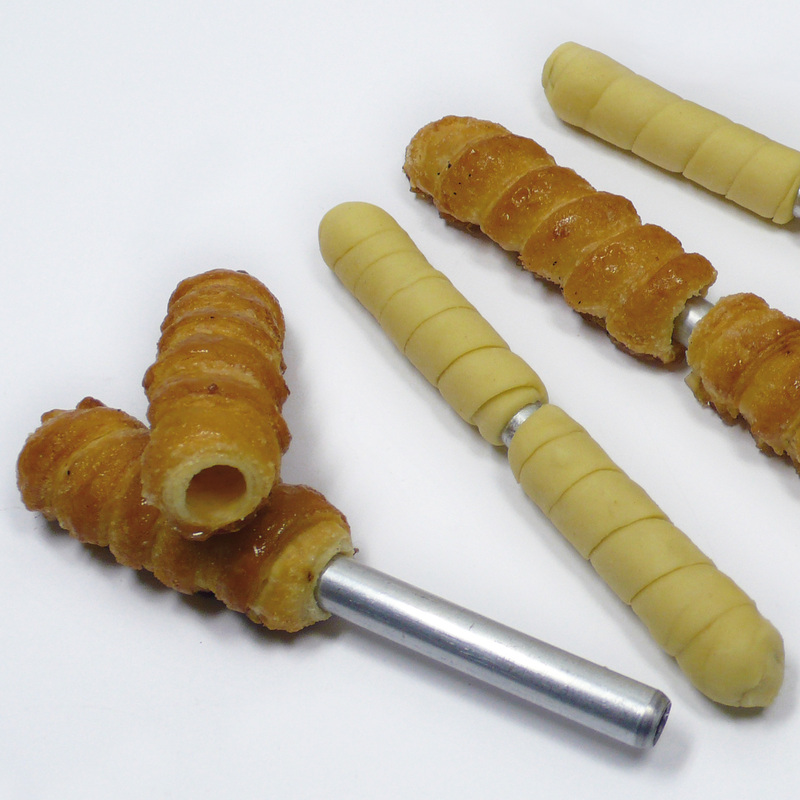 It’s the only automatic machine that doesn’t need handcraft work for the closing process of the puff pastry ends. THEIR CLOSING IS AUTOMATIC! 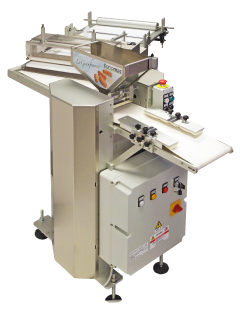 Thanks to this machine the confectioner’s imagination has no limits. 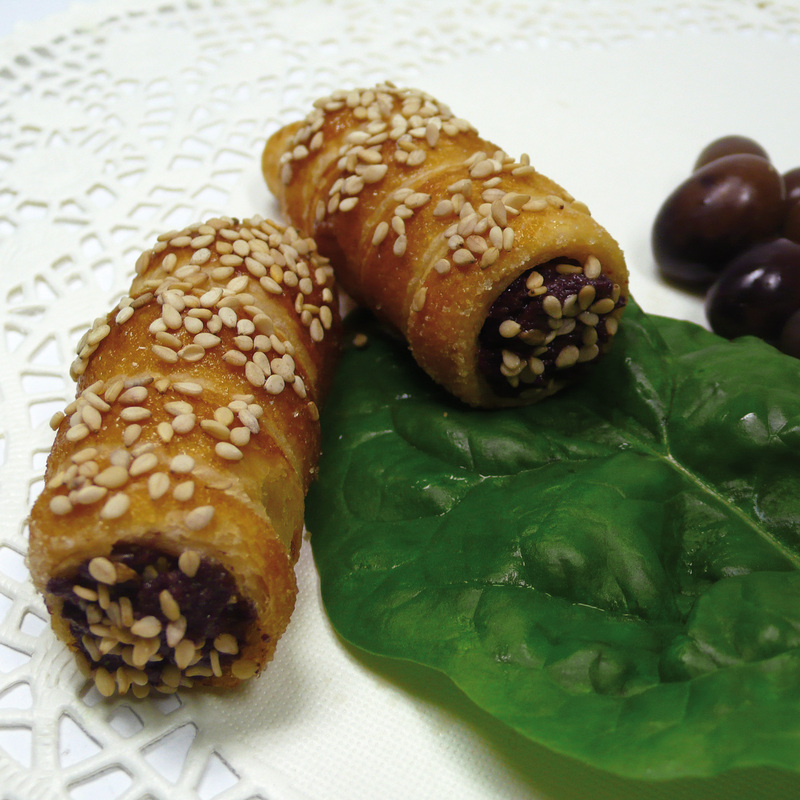 SWEET Cannoncini and why not … SALTY!